Stainless steel multifunction steam assist is rated 3.0 out of 5 by 4. Take your cooking to the next level and create the perfect roast every time. 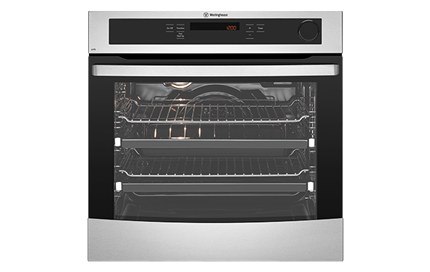 This large capacity oven features steam assisted cooking, which offers the unique combination of hot air with just the right amount of steam. The results are a taste sensation. You'll enjoy succulent roasting perfection that's crisp and caramelised on the outside and moistly tender on the inside. No wonder we call it the ultimate family roast. 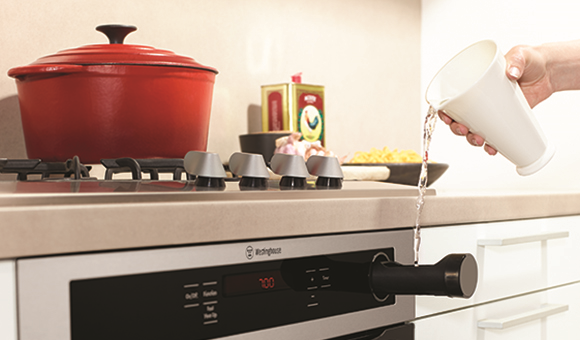 Discover advanced cooking technology with Steam Assist. Now you can simply and efficiently reheat your meals without needing a microwave. 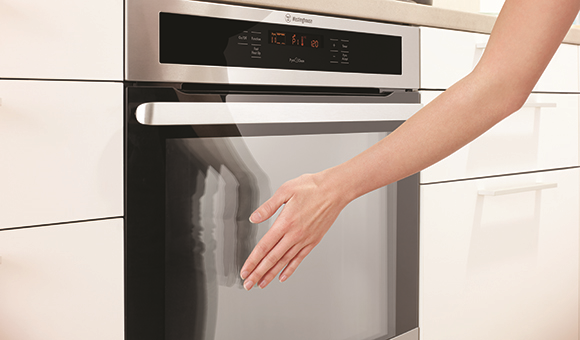 The Steam Assist oven offers a Steam Reheat option that effectively heats the food in a moist environment to deliver top quality results with a minimum of fuss. 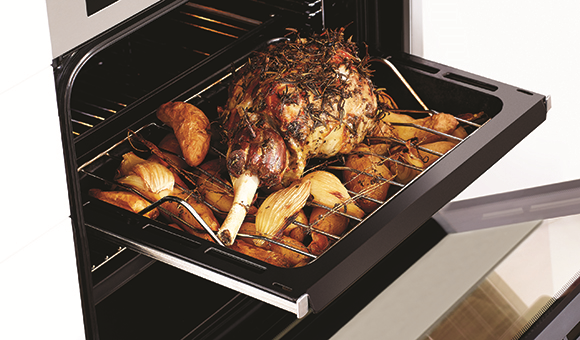 Steam assisted cooking creates the perfect roast every time. Rated 5 out of 5 by Arthur from Highly Recommended Under Bench Oven WVE617s I read the only other review on this oven, after I had purchased it, but before I had installed it. I am pleased to report that it works perfectly. It is as quiet as any under bench oven that I have ever used. I have always found Westinghouse products to be well built and reliable. It is easy to use, and performs as advertised. Cleaning the inside of the glass of the door is easier than any other oven I have ever seen. Brilliant design. I purchased my oven from Harvey Norman and received the usual exemplary service. Rated 5 out of 5 by Eric1253 from Wow a whole new concept I have never experienced cooking like this. The steam assist and 15 programmes works a dream. I can't stop using it. Roasting, steam, pizzas,defrost, cakes, pastries and ECT. 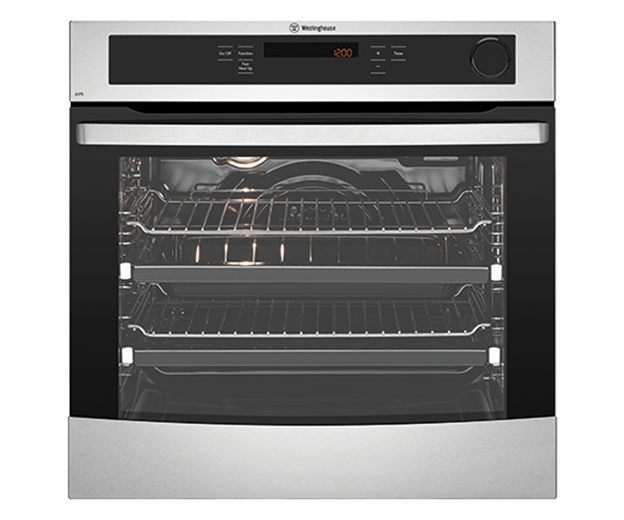 If you like to cook you will love this oven and a bargain price. looks great and work fantastic. Simple and easy to use. Best buy we have ever made. Rated 1 out of 5 by Lynette from the worst shop, the worst oven When the oven installed, big noise from top cooling fan.